I love the idea of big epic space games. But there are not really any of them, out there that I enjoy. I’ve long dreamt of a highly thematic, euro-inspired, space game that plays in less than 2 hours, and now my dreams will finally come true. What makes it even better is that it comes from Ryan Lauket (the designer and artist behind Red Raven Games). With his pedigree it’s bound to have stellar artwork. 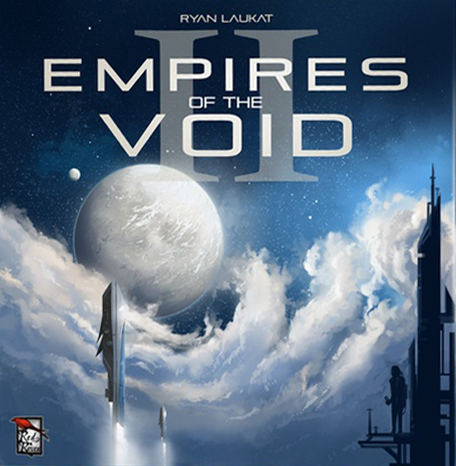 In Empires of the Void II players vie for control of planets through diplomacy and combat. Each of these planets have their own flair, units, event cards and missions. So while the game is not a storytelling game in the vein of Near and Far and Above and Below, it’s an immersive game with lots of theme and a great colourful setting. I’ll let you in on a little secret about me. I’m actually not a big fan of legacy games (don’t hate me). But when Inka and Markus Brand makes a game I’m always interested. Not much is known about the game, so why even put it on the list you might ask? 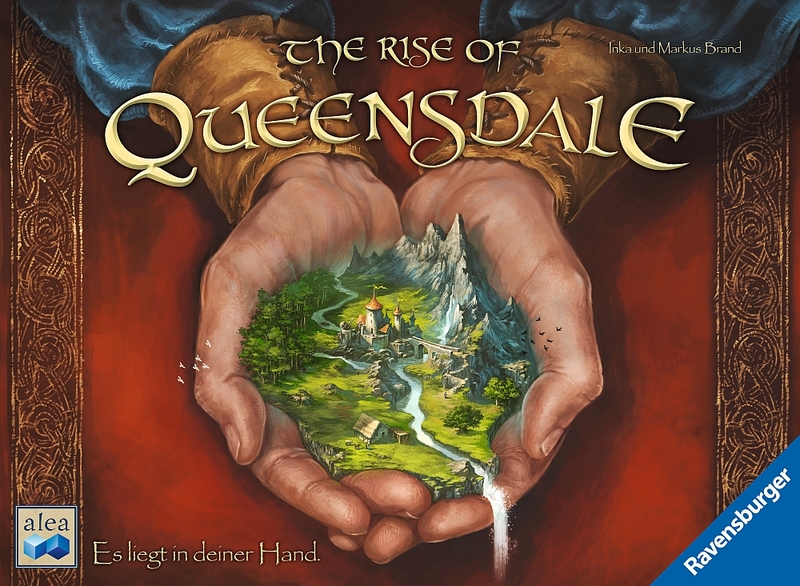 Well as I said, Inka and Markus are a great design couple and what I do know about The Rise of Queensdale is that it will be euro / worker placement focused. If you know me you’ll know I love those kinds of games. It also features one of my other favourite things, dice rolling. So you bet I’m excited about this. I’m hoping this will be the legacy game that I can finally fall in love with. I had a chance to play a prototype of this and let me just tell you: This is a fantastic game. 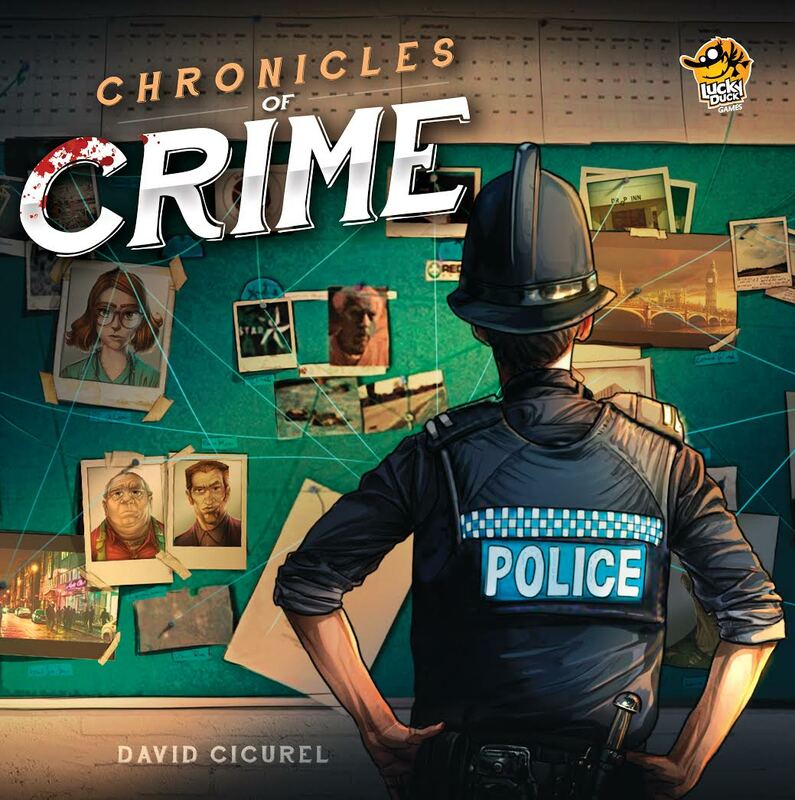 Chronicles of Crime is a cooperative “solve the murder” kind of game, similar to Sherlock Holmes Consulting Detective. You spend the game talking to witnesses, examining crime scenes (on your phone in VR) and doing forensic and psychological work. All your actions cost you time however, and you have to solve the case as fast as possible. The game is fully dependent on an app, but this is one of the best app implementations I’ve ever seen. Not only does the app keep track of all the information you’ve gathered, it also keeps track of the time you have spent, and dynamically changes the game based on certain clues you pick up, time of day and so on. and things can change based upon you actions. One of my all time favourite games is Raiders of the North Sea. This year, the designer of that game, Shem Phillips, is teaming up with The Mico again (such a great artist) to make Architects of the West Kingdom. This is a very interesting take on worker placement, set in medieval times. While it’s a little more complex than Raiders of the North Sea it still features quick simple turns. You place 1 of (your starting 20) workers to acquire resources for buildings, the more workers you place on the same spot the more resources you’ll get. If you get too greedy and place too many workers on the same spot, then the other players can capture them, and send them to prison to earn coins. There is also a virtue system that will offer rewards and penalties based on your position on it. Really can’t wait to try this one out. 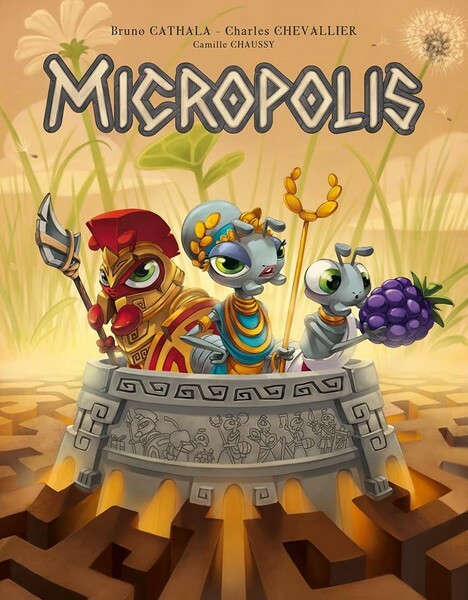 Micropolis is a charming little game, designed by the legendary Bruno Cathala and Charles Chevallier, that I think will be a smash hit for Matagot. It is a quick (30 min) tile placement game where players strive to have the best colony of ants. Each title you pick will have various numbers of the different types of ants, each of which will give you certain bonuses. The army ants for instance will determine turn order and the fruit ants will score you points. I think this will be an excellent family game and that it will be a game well suited for the casual gamers. Knowing Bruno Cathala it will still pack enough punch and have enough depth to keep the veteran players entertained. Games with art from The Mico is always worth a look from me. When they are also designed by the man behind Kitchen Rush and Anachrony (Dávid Turczi) then I not only give it a look, I expect great things. 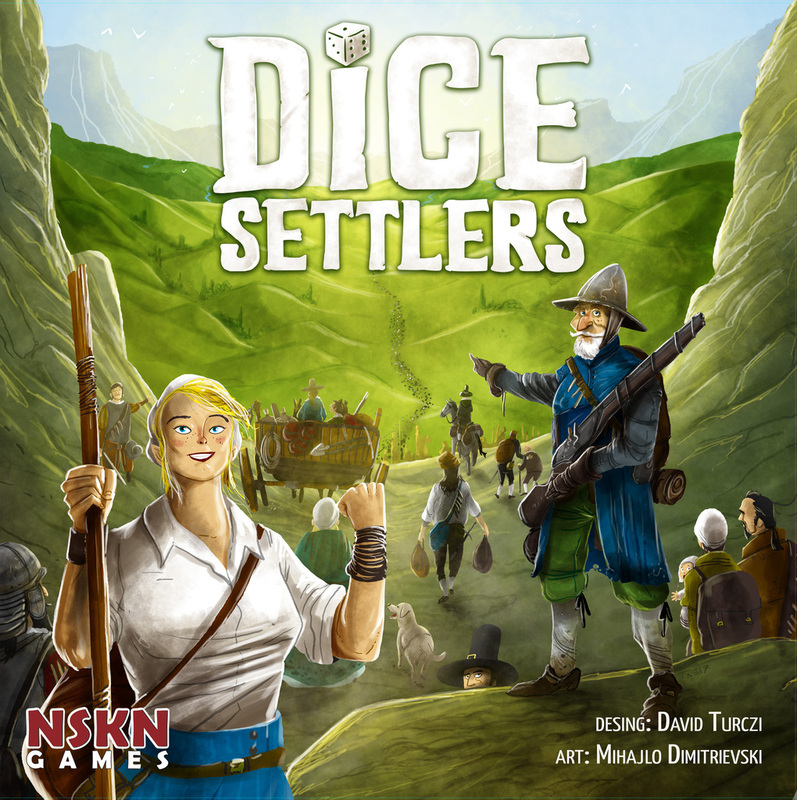 Dice Settlers is a pool building game similar to last years smash hit Altiplano (that was one of my favourite games of 2017). Instead of using cardboard chits to fill your bag, it will use dice (I love dice). Really excited to see how this will turn out and how all the resource gathering and area control will work in this game. Add to this a varying board and technologies that should make for different experiences on each play, and you have a game that I want to play right now.